Older Americans who face discrimination on the job can’t rely on the courts as much as earlier generations did. 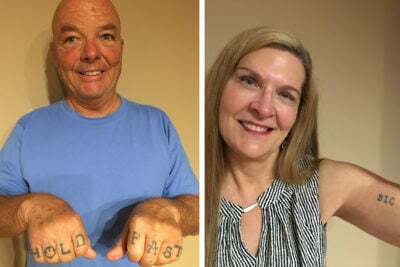 At the age of 50, the federal law that seeks to protect older American workers from age bias has been enfeebled by court decisions that have widened loopholes for employers and narrowed the ways employees can seek redress. When Congress enacted the Age Discrimination in Employment Act (ADEA) in 1967, the law was treated as something of an addendum to the Civil Rights Act, which had been passed three years earlier and banned bias on the basis of race, gender, religion and, later on, sexual orientation, among other categories. The 1967 law effectively added age to the list. Courts and lawyers assumed that key provisions of each act applied to the other. In years to come, lawmakers would strengthen some elements of the measure, for example largely banning mandatory retirement and requiring employers to provide more disclosures about the size of their layoffs and ages of those being let go. The original act did provide for some exceptions. Employers could favor younger workers if they could show that “reasonable factors other than age” were involved in their choice for a position. Congress allowed that, if a job required certain abilities such as quick reflexes as a “bona fide occupational qualification,” older workers could legally be passed over for jobs such as jet pilots or police officers. But in the past few decades, the warnings and cautions of the first generation have been brushed aside in a number of important court cases. One came in 1993, when the Supreme Court expanded an employer’s ability to outflank the age law by ruling that a company hadn’t discriminated on the basis of age in firing a 62-year-old man weeks before he’d have been eligible for his pension. 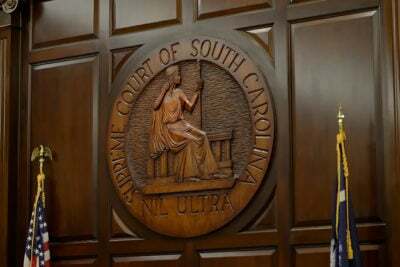 The justices reasoned that since the pension was based on length of service, not specifically age, the man couldn’t sue. In a 5-4 decision in 2009, the high court raised the burden of proof for age bias well beyond what’s required for other kinds of discrimination. It ruled that a 54-year-old financial manager who alleged that he’d been wrongly demoted had to demonstrate the nearly impossible — that effectively there was no factor other than age involved in his demotion. Employers’ core arguments for treating later-career employees less favorably are that older workers cost more in wages and benefits and produce less because of purported cognitive decline. With growing frequency, federal judges have accepted these claims about cost and cognition without requiring companies to provide any evidence to support them. Lawyers for corporations have argued that the text of the law requires a much narrower reading of it than was given in its early years. And, in an increasingly competitive economy, the idea of replacing older workers with lower-cost younger or foreign ones has come to seem almost self-evident to Wall Street and, with mounting frequency, public policymakers. IBM is one company that in recent years has replaced a substantial share of its U.S. workforce with younger, less-experienced and lower-paid workers and sent many positions overseas. 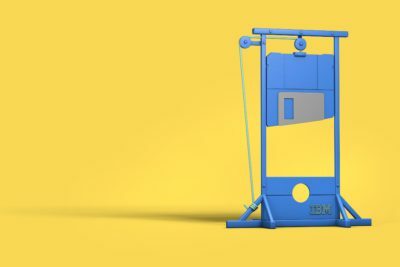 A ProPublica investigation found that in making the cuts, IBM has flouted or outflanked U.S. laws and regulations intended to protect later-career workers from age discrimination. Besides the weakening of the age act, two other recent trends in employment law may also have a dampening effect on older workers’ ability to fight discrimination. The first involves arbitration. The Supreme Court, responding to business and conservative warnings about an overburdened judiciary, has dramatically expanded the reach of a 1925 law that enabled some business disputes to be taken to a private third party, rather than to the civil justice system. In recent decades, the high court has extended the law’s reach into virtually every legal link between individuals and companies. Arbitration more often favors employers than employees, studies have shown. But most people don’t have the power to negotiate — or even the time or training to recognize — clauses in their employment contracts that require them to go to a private arbiter instead of a judge with their complaints. The second legal trend involves employers who impose so-called class-action waivers on their workers, banning them from joining together to bring legal claims against firms in court or arbitration. One of the first big firms to impose such a waiver was D.R. Horton, the nation’s largest homebuilder. (IBM followed suit.) The National Labor Relations Board ruled in 2014 that Horton’s move violated longstanding legal guarantees that employees can “engage in …concerted activities for … mutual aid or protection.” In short order, three federal appeals courts rejected the NLRB’s decision while two others affirmed it, dumping the issue in the Supreme Court’s lap. The Supreme Court’s decision could come as early as this month. Even without that ruling, experts said, it’s clear that the other recent changes in labor laws are making it more difficult for people in the later stages of their careers to prove bias. “Older workers could once expect fairness and equality because of our age law. But courts have stripped the law of its protections,” said Cathy Ventrell-Monsees, senior attorney advisor with the Equal Employment Opportunity Commission and the former director of age litigation for the senior lobbying giant AARP. Do you have access to information about age discrimination that should be public? Email [email protected], or here’s how to send tips and documents to ProPublica securely.